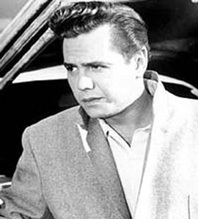 How much do you know about Cuban band leader and TV star, Desi Arnaz. 1. What was Desi's full name? 2. What was one of Desi's first jobs in America? 3. Where did Desi meet Lucille Ball? B. on the set of the movie "Too Many Girls"
D. he bumped into her while walking his dog on Hollywood Blvd. 4. What was the name of Desi's autobiography? 5. What was the age difference between Desi and Lucy? 6. What did Desi arrange for starlets to greet wounded soldiers with when they arrived at a military hospital in San Fernando Valley? 7. What award did Desi receive in 1972? 8. What did Desi do every year for Lucy on their anniversary even after their divorce? C. he took her to dinner. D. he bought her a US SAVINGS BOND. 9. What instrument did Desi play in Xavier Cugat's band? 10. Where is the Lucille Ball-Desi Arnaz Center located?